Add value to your company’s advertising and branding with the Scrambler. 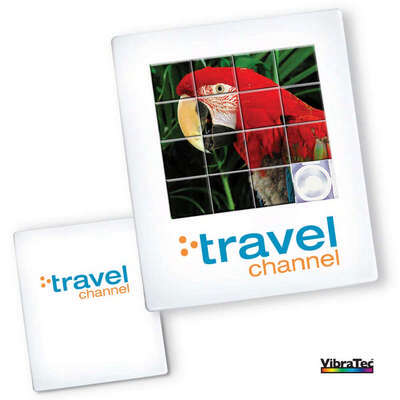 Imprint your company’s logo and brand name using VibraTec - Prime Line's latest brilliant four-color process imprinting. Imprint Area : 2" sq. Add value to your company’s advertising and branding with the Scrambler. Imprint your company’s logo and brand name using VibraTec - Prime Line's latest brilliant four-color process imprinting. The reverse side offers more ad copy space. It is a great promotional item to showcase your brand with adequate space available for advertising on this simple yet useful gift. It comes in white. Imprint the scrambler with your company’s logo and add great value to your brand.